Last month, approximately 150 people attended Speak for Wolves: Yellowstone 2014 in Gardiner, Montana. The event showcased prominent speakers, children’s activities, live music, food/drink, education booths, a trapping/snaring demonstration, wildlife documentaries and panel discussions. The event made the front page of the local Livingston Enterprise, was covered by Reuter’s and was picked up by the New York Times. Friday night was kicked off by local resident and cinema photographer Bob Landis, who screened his newest film SheWolf, which has appeared on the National Geographic Channel. On Saturday morning, things took off at Arch Park, with speakers Tom McNamee, Nathan Varley, PhD. Louisa Willcox, Oliver Starr, George Nickas and Mike Hudak, PhD. and Anja Heister. Neil Haverstick provided music for the crowd. By the time Saturday night rolled around, things kicked into gear with the screening of two Predator Defense films, The Imperiled American Wolf and EXPOSED: USDA’s Secret War on Wildlife. The third film of the evening was a Project Coyote film, Coexisting with Wildlife: The Marin Livestock & Wildlife Protection Program. A lively panel discussion followed, led by Camilla Fox, Louisa Willcox, George Wuerthner and Dr. Robert Crabtree. On Sunday morning, the skies were blue and Jimmy St. Goddard of the Blackfeet Tribe led us into a prayer and dance, with a shared focus on wolves and bison. Mike Mease, Doug Peacock, Dr. Catherine Feher-Elston, Bill Chamberlain and George Wuerthner followed. Goodshield Aguilar provided live music. Children’s activities were provided all weekend by Running for Home authors Marilyn McGee and Gail McDiarmid. 1. 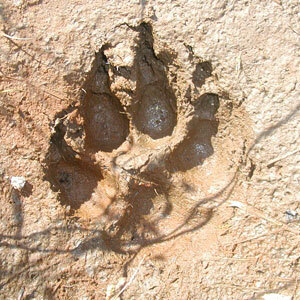 It began a discussion on reforming wildlife management at the state and federal level in America. 2. It brought every-day wolf advocates together from all across America, some traveling from Florida, Arizona, Minnesota and California. 3. It gave people a bit of hope, put a smile on their face and made wolf advocacy fun. Organizers were proud to endorse the Carnivore Conservation Act during the weekend. In summary, the legislation (Massachusetts) would prohibit baiting, eliminate hounding and drastically reduce hunting seasons of carnivores, while also defining and preventing cruelty to carnivores, as well as establishing no-hunting sanctuaries. Thank you to John Way, PhD. and Louise Kane for their work on this. We would also like to offer sincere appreciation to the event sponsors; in no particular order: Predator Defense, Adopt A Wolf Pack, Buffalo Field Campaign, Colorado Wolf & Wildlife Center, In Defense of Animals, Northern Idaho Wolf Alliance, The Ravensong Group, Howling for Justice, Animal Cruelty Idaho, Palouse-Great Old Broads for Wilderness, United States Wolf Refuge, Center for Biological Diversity, Wolf People of Cocolalla, Wolf Creek Ranch, Friends of the Clearwater, Seacrest Wolf Preserve and Western Watersheds Project. In the coming months, organizers are going to decide when and where the 2015 Speak for Wolves event will be. Stay tuned www.speakforwolves.org. Let’s keep the education going! I found the wide variety of “mediums” that people used to “speak for wolves” was amazing at this weekend event. The children’s programming offered educational materials, art and games to the young and young at heart. The Native American music, prose, and dance captured the heartbeat of the weekend. And the very educated and knowledgeable speakers brought sound science to the table for all listeners. I hope to be invited again to be apart of the learning and see this program continue to grow! Thanks for covering this critically important topic.